This entry was posted in Appetizer, Entree, Pork, Seafood and tagged cocktail, food, football, Garlic, grilled, horseradish, key lime, lemon, olive oil, prosciutto, recipe, rosemary, seafood, Shrimp, skewers, tailgate, zest. Bookmark the permalink. OMG, these sound scrumptious! 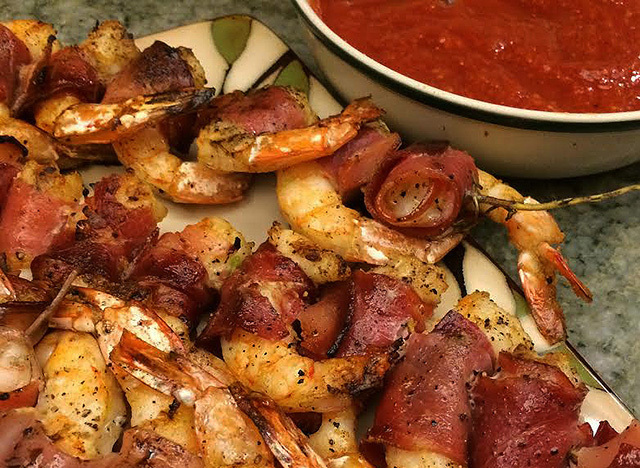 I love shrimp, and have made them with bacon, but prosciutto is an excellent substitute. Yum!